The drum parts washers are perfect for high volume, continuous cleaning & drying of small parts. Parts are automatically fed through the cleaning, rinsing and drying via a perforated rotating drum chamber with internal helix / flights or can be thought of as screw threads. The size of drum perforations (or solid drum for immersion cleaning), flight pitch and height, etc can be varied to change cleaning aggressiveness and speed. 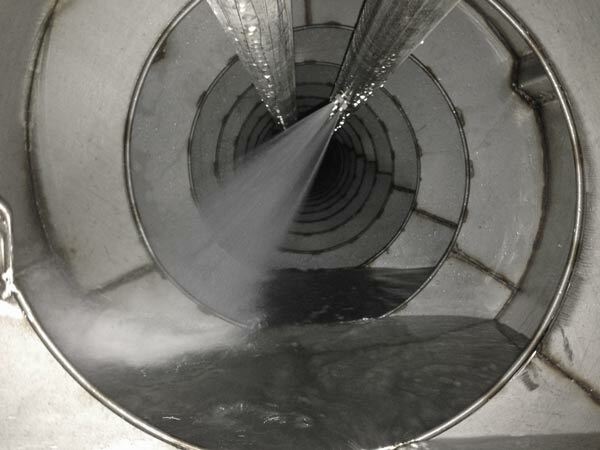 The parts are cleaned using a powerful spray washing action for scrubbing the exterior surfaces combined with immersion agitation for flushing out the inside of blind holes, hollow and tubular parts for a complete tumbled cleaning. Don’t let the “tumbled” nature of the parts washing machine become a concern on delicate parts and applications as the drum augers are custom designed for the parts allowing even precision, delicate screw machine parts with fine pitched threads to be processed through the drum washer without concern for damage. 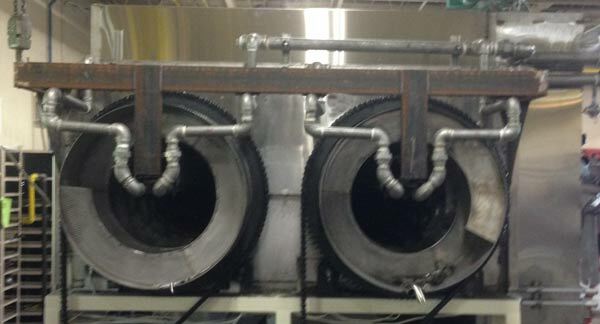 Rotary drum washer cleaning systems are built in single or multi-stage configurations. 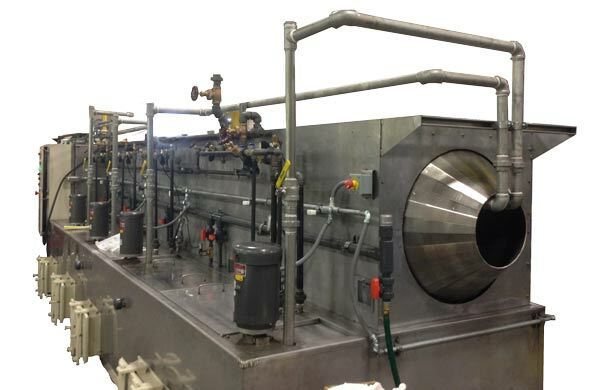 Typical processing include wash, rinse and dry but can also include other process stages can be added as required such as ultrasonic cleaning, rinsing, rust proofing / rust inhibitors, phosphating, sealing, passivating, lubricating, coating, etc in addition to the last stage of optional heated blow off dry. The entire parts washing system length has removable access panels which allows total access to internal machine components for easy maintenance, adjustments and service as well as solution tank maintenance and inspection. A large rotary drum washer is able to handle not only larger parts but also higher throughput volumes. 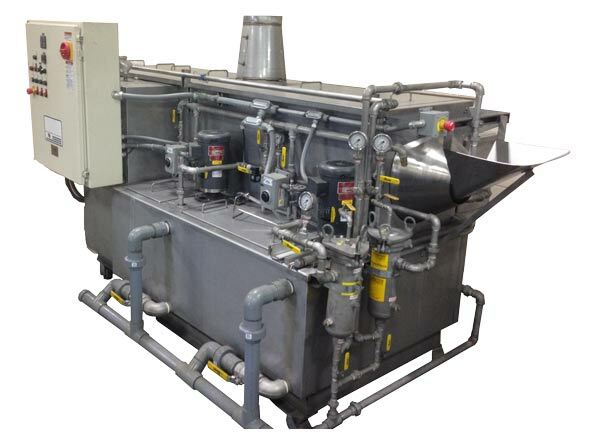 A dual auger drum parts washers can effectively double the throughput of a system while minimally impacting costs as all the solution tanks, pumps and equipment are already in place for a single drum washer. Two different applications and parts can even be run in the drums which utilities different drives for varying feed rate rotations while utilizing the same liquid solutions. Drum washers provide a perfect fit for continuous cleaning of stamped parts; deep drawn, screw machine parts, cold headed, die cast, precision ground parts, bearing fingers & races, metal stampings and hydraulic fittings. 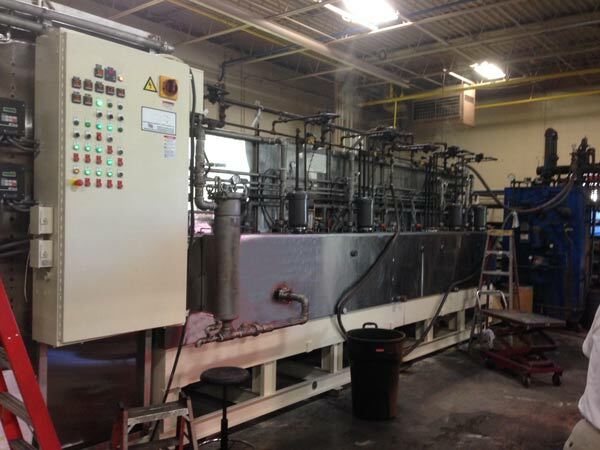 Several standard size parts washing machines are available for every production rates of 100 pounds per hour to 50,000+ pounds per hour or for light weight parts from 5 cu ft to over 300 cu ft per hour of material.